Ramses VI’s resting place restored; will his face be returned? 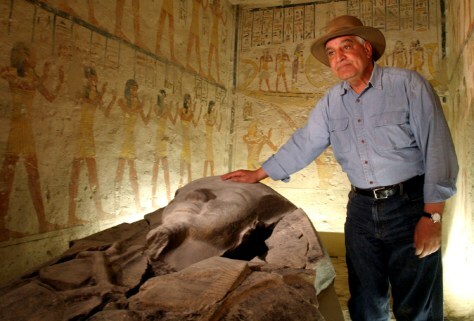 Zahi Hawass, the head of Egypt's Supreme Council for Antiquities Zahi Hawass. stands by a cast of the face of Pharaoh Ramses VI in its tomb. The experts who reconstructed Ramses' sarcophagus had to use a cast of the face because the original has been in the British Museum since 1823.